Nutrition is the perfect complement to your chiropractic care. To help you achieve total health and balance in your body, we’ll recommend specific supplements based on your needs as well as advise you on healthy food choices and exercises that are tailored to your needs. Whether you’re concerned about your body getting the nutrition it needs, shedding unwanted pounds, or eating the right foods, we’re able to help you. 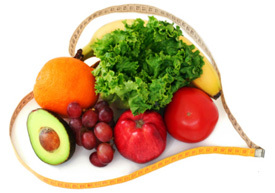 The key to our weight loss programs is to help you lose fat and build your lean body mass. Those crash diets might help you lose weight, but they’ll make you lose your lean body mass without a proper exercise program to support your journey. We’ll customize your program to be exactly what your body needs and to meet your specific goals. Using a combination of Isagenix® cleansing and detoxification products and hormone supplementation, we’ll help your body to operate like it did when you were younger, so it will look and function as it did then. We’re here to help you reach your goals in every way we can.